Social bookmarking is an activity of adding and sharing website links on different online services that allow sharing content and social bookmarking. Social bookmarking websites allows users to add, edit and publish the links, with the possibility of tagging the link. Social bookmarking websites generate a large amount of links, which are submitted by the users. Tagging is used by these websites to organize a bookmarking system, and to provide users of the website to easily browse through the existing links. Besides sharing a link and adding a tag, social bookmarking websites may include additional features, such as adding description, comments, votes, or even the possibility to automatically share on social networks by connecting accounts. The main reason for having a bookmarking system is to have useful links organized in such a way that you can quickly find the link you need. Links shared this way are often called bookmarks, and they can be private, in case you want to keep your list to yourself, or public, if you want to allow other users to access your list. You, as a user of social bookmarking website, can create an account to share your own links, or you can interact with other users, which is why these types of websites are called social. You can usually follow other users’ feeds, to keep up with the links they publish, or you can find out some interesting ideas from other users’ lists. Websites also allow searching options, which help you browse the links shared by other users, using tags or keywords. Links can frequently be prioritized by relevance or category, allowing users to quickly find the resource they need. Social bookmarking websites are often used as a part of social media marketing in the purpose of promoting website content to online communities. Social bookmarking website can be connected to the social media accounts, which are linked to your blog, creating an expanded network of resources for promoting content and building your online community. Although social bookmarking websites are useful for link sharing, they allow features similar to those present on social media, which help you optimize your account and expand your online influence to the community present on the mentioned website. This is also an important aspect when it comes to branding, as you increase your influence over multiple platforms, thus creating an online image for your business. Therefore, take your time to optimize your account on social bookmarking websites, the same way you would do with social networks. Add a profile image, add the description and other information about your company, as all of this can help with creating on online profile. Finally, social bookmarking websites have strong potential to generate large volume of traffic, which is particularly important for websites that are just starting to break through, and are still struggling to get to the first page of organic search results. Due to a large number of users, sharing a link on social bookmarking websites might be quite effective, as links help you reach those specific users. Additionally, tagging options can help you target your content at users who are interested in that content, who are looking for new ideas related to the term you are using as a tag. Unlike search engines, that use complex algorithms to understand the content and rank it accordingly, social bookmarking websites use tags created by the users to classify content. Tagging is more precise, as users are able to understand the content, and tag it properly, unlike search engines, that sometimes might not understand website content properly. However, this system is vulnerable, as some users might try to mislead others by using tags that are not related to the content. This can be overcome by creating an influential profile on social bookmarking website, which will then be a trusted resource, rather than simply sharing links, without paying attention to the social aspect of the website. Individual users see social bookmarking website as a useful way to organize bookmarks and links from various websites. This is also an opportunity to discover new content related to a certain topic, which is why social bookmarking websites have a lot of users. When it comes to using these websites for promotion, various types of businesses, as well as institutions can find social bookmarking website quite useful in order to promote content and to build online community. Education is an area, which can particularly benefit from social bookmarking websites, and there are communities for educators exclusively. Some social bookmarking websites are free, but they often feature ads in order to support themselves and provide a free service. On the other hand, some websites provide both free and paid accounts, with basic options offered within free accounts, and more advanced options available within paid accounts. However, in most of these cases, free account can provide enough options for you to promote your content through a specific bookmarking website. Later on, as you build your presence on a bookmarking website, you might consider using a paid account in order to get access to advanced features and try to enhance your business even more with the promotional strategy implemented through social bookmarking websites. The term of social bookmarking has been present from 1990s, but only after 2003 has this topic become an element of social media marketing. There are a lot of social bookmarking websites, but we will highlight the ones that have the largest online communities, as those have the greatest potential of having positive influence on your social media marketing strategy. DeliciousDelicious is considered to be the pioneer in the area of social bookmarking, as it is the service that has popularized the idea of social bookmarking and tagging content. The website was founded in 2003, and it offers quite simple interface for sharing links. Delicious is said to have over five million users worldwide. RedditReddit allows users to create text posts or submit links. The links are than organized based on a voting system which uses ‘up’ or ‘down’ to evaluate the usefulness or quality of the post or link. The content is organized into topics called subreddits. According to the website statistics, the website has almost 234 million registered users. 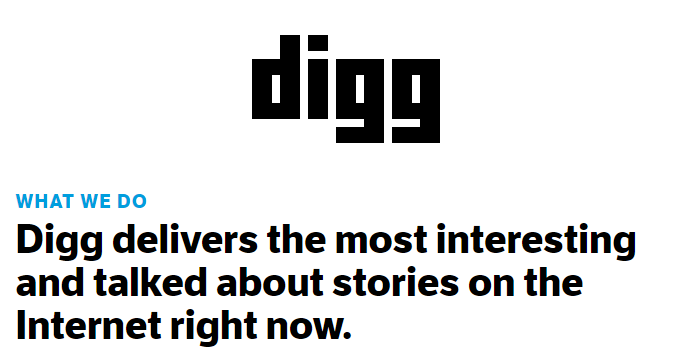 DiggDigg is a news aggregator website, which gathers links from the internet in order to display trending articles and issues discussed on the web at that moment. Registered users can submit their own links and voting is done using ‘digg’ button. StumbleUponStumbleUpon is an excellent platform for submitting links as it allows users to create their own personal boards where they store links. 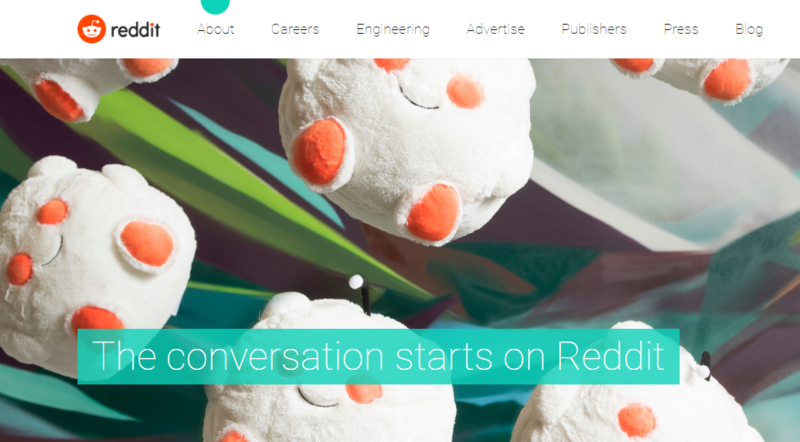 StumbleUpon functions like a discovery engine, which enables you to discover content based on your interests and based on the links you have already submitted. Once you discover a page, you can vote using like or dislike button. It is also possible to participate in the community by creating lists, following people, sharing other people’s links, etc. 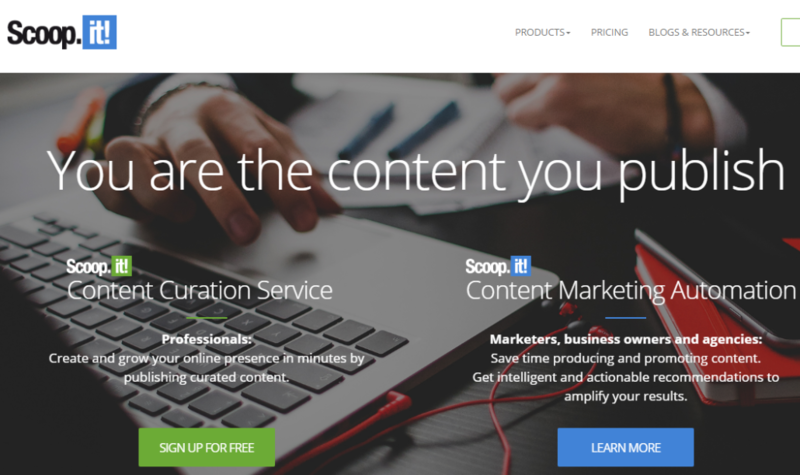 ScoopItScoopIt is a platform that allows sharing links, called scoops, within topics you create on ScoopIt. The platform also allows searching and discovering content that has already been published on ScoopIt. You are allowed to add your own description to each scoop you publish. Connecting with other users, following other topics and linking your social media accounts is what gives social aspect to this platform. You can either use a free account, which is a bit limited, with ten links per day limit, or you can choose to sign up for a premium account. Premium account enables you to publish more links, with the opportunity to use customization tools, to schedule posts, to integrate more than two social media accounts, to access analytics and generate leads by using lead generation integration option. 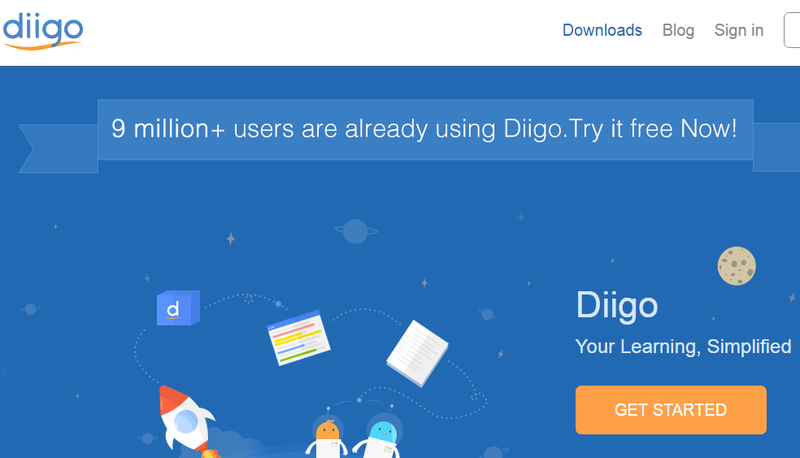 DiigoThis is another social bookmarking website, which allows you to save bookmarks and tag pages. Adding sticky notes to the content is what differentiates this platform from others, and it can be very helpful when you want to organize content you discover on the internet. There are both free and premium accounts, with additional services provided for the premium users, such as unlimited social privileges, images, PDF annotations, etc.